Dr. Norbert Reithofer, Chairman of the Board of the BMW AG, opened the BMW Welt at approximately 12 midday on October 17th. A total of 800 invited guests and press representatives celebrated this great moment together. To mark the official inauguration of the new Automobile Delivery in the BMW Welt, a BMW was ceremoniously handed over to the first customer. The climax of the occasion was the symbolic opening by staff of the BMW Welt. 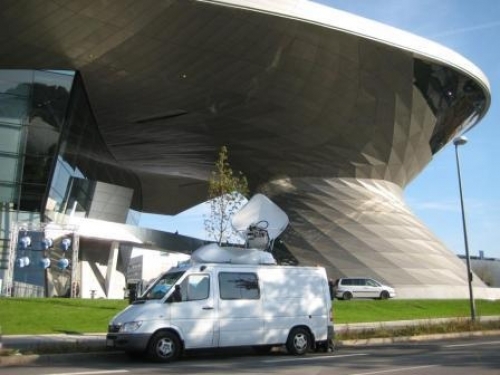 Their appearance served to emphasise that the BMW Welt only becomes a place of living encounter and dialogue through the people who work in it day by day. Music for the ceremony was provided by the Opera Studio of the Bavarian State Opera with a pianist and several soloists. 22.10.2007 Dr. Norbert Reithofer, Chairman of the Board of the BMW AG, opened the BMW Welt at approximately 12 midday on October 17th. A total of 800 invited guests and press representatives celebrated this great moment together. To mark the official inauguration of the new Automobile Delivery in the BMW Welt, a BMW was ceremoniously handed over to the first customer. The climax of the occasion was the symbolic opening by staff of the BMW Welt. Their appearance served to emphasise that the BMW Welt only becomes a place of living encounter and dialogue through the people who work in it day by day. Music for the ceremony was provided by the Opera Studio of the Bavarian State Opera with a pianist and several soloists.